The sub-compact SUV and crossover segment registered MoM growth of around 14 per cent in July 2018. Clearly, the demand for small SUVs and crossovers in India is on the rise. 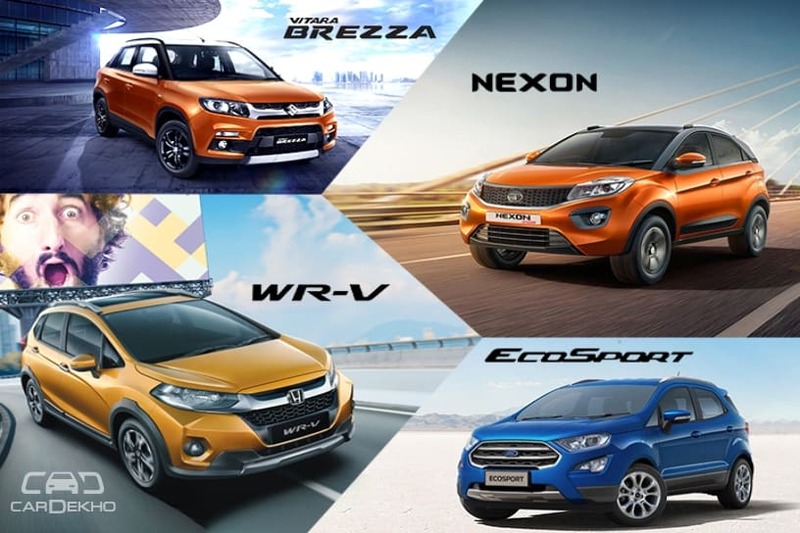 While the Maruti Vitara Brezza continues to lead the segment, new entrants like the Ford Freestyle and Tata Nexon have eaten up some market share from all their rivals ever since their launch. *The Ford Freestyle was launched in April 2018. Sales in previous months have been considered as nil. Six months sales trend – There’s no radical change in the equations as the Maruti Vitara Brezza continues to dominate the segment with average sales of 12,685 units followed by the EcoSport at 4,660 units and the Nexon at 4,264 units. The WRV is gradually picking up pace, which could bother the Tata SUV. 1. All cars witnessed a negative year-on-year growth except for the Nexon and the Freestyle, which were launched post July 2017. 3. Expect some big changes in this table within a year from now. There are two new vehicles coming up in this space: the Mahindra S201 (codename) and the Hyundai QXI (Carlino-based sub-4m SUV).